Since joining NPR in 1992, award-winning journalist Joe Palca has covered a range of topics from biomedical research to astronomy. (THOUSAND OAKS, Calif. – April 5, 2017) A science correspondent for National Public Radio will headline a KCLU event at California Lutheran University on Sunday, April 23. “KCLU presents Brunch and Conversation with Joe Palca” will be held from 10 a.m. to noon in Lundring Events Center on the Thousand Oaks campus. He began his journalism career in television in 1982, working as a health producer for the CBS affiliate in Washington, D.C. In 1986, he left television for a seven-year stint as a print journalist, first as the Washington news editor for Nature, and then as a senior correspondent for Science Magazine. Palca took leave from NPR in 1999 to spend a year studying human clinical trials as a Kaiser Family Foundation Media Fellow. In 2009, he took a six-month leave to become the first Science Writer in Residence at the Huntington Library, Art Collections, and Botanical Gardens. His numerous awards include the National Academies Communications Award, the Science-in-Society Award of the National Association of Science Writers, the American Chemical Society James T. Grady-James H. Stack Award for Interpreting Chemistry for the Public, the American Association for the Advancement of Science Journalism Prize, and the Victor Cohn Prize for Excellence in Medical Writing. He has served on the Society for Science & the Public’s Board of Trustees since 2010 and was president of the National Association of Science Writers from 1999 to 2000. 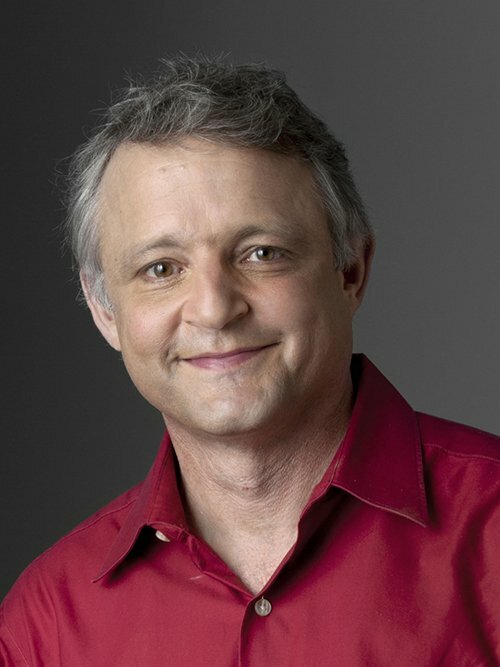 Palca came to journalism from a science background, having received a doctorate in psychology from the University of California, Santa Cruz, where he studied human sleep physiology. Lundring Events Center is located in the Gilbert Sports and Fitness Center on the north side of Olsen Road near Mountclef Boulevard. KCLU provides NPR and local news programming in Ventura County at 88.3 FM, Santa Barbara County at 102.3 FM and 1340 AM, Santa Maria at 89.7 FM, San Luis Obispo at 92.1 and online at kclu.org. Tickets are $40. To purchase, call KCLU at 805-493-3900.